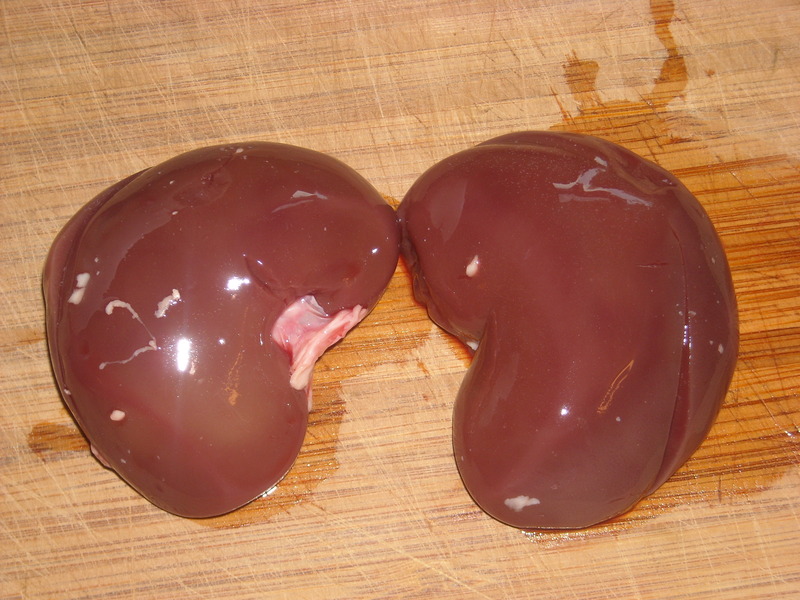 Sad to say, the kidneys were a bust. Oh, I had grand plans for them…”kidneys with mushroom sauce” a la Nourishing Traditions, complete with raw cream. Mmmm mmmm. Well, as we all know, “the nose knows”. Even after rinsing the kidneys and then soaking them in lemon juice for several hours, they did not smell like something I would want to put in my mouth. So out they go, tossed. Sad for all of us. I will try again and let you know how it goes!